Freezvon is a company that provides virtual phone numbers with various features. Before working with any company, it’s important to be aware of the benefits of their services. This article covers some of the services offered by Freezvon while explaining their importance, so entrepreneurs can take advantage of each feature as they work to grow their business. Depending on the reason for contacting your business, some consumers may decide not to call to avoid the charges. If potential customers do call your business from another region, it’s unlikely they will stay on the call long enough to learn further details about your business. The last thing any business owner wants is to seem inconsiderate or too expensive for customers in your industry to afford. If customers attempt to contact your business and they have to pay a fee just to get in touch with you, it often leaves a negative impression of your brand. Virtual phone numbers help business owners connect with international clients without living in the same time zone or requiring additional fees. These phone numbers also save startup companies the expenses of relocating or having to work from an office building, which usually requires a leasing agreement and a variety of expenses. Freezvon’s virtual toll free numbers provide the same benefits as a basic virtual phone number, but it also gives businesses the option to create various channels and departments. This is especially beneficial when working with remote teams for the purposes of customer service. At Global Call Forwarding, we believe your virtual phone numbers should be paired with a vanity line so that your number will be easy to remember. The more recognizable your virtual phone number is, the easier it becomes to market through word-of-mouth. Creating vanity lines for your virtual phone numbers also offers the benefit of displaying the creativity and vision of your brand. At this point, anyone who owns a cellular device is using their smartphone to make and receive calls and exchange information via text. Freezvon’s virtual SMS numbers remove the traditional limits of texting within a given region. With SMS numbers, you won’t be incurring roaming charges or unsuccessfully attempting to message someone in a different country. Furthermore, entrepreneurs will have the convenience of receiving texts to their cell phones or email address. With virtual SMS numbers, location will no longer be a barrier preventing the personal connection between you and customers. Creative business owners aren’t just using text messaging for convenient communication. They’re also texting information about deals and promotions to buyers. Furthermore, businesses can use SMS messaging for support by allowing customers to text questions and inquiries and have messages sent back to them with answers. Along with affordable VoIP calls, there are additional features that can be added to your virtual phone number to attract customers and build customer loyalty. These features include custom voicemail, music, call recordings, dial menus, and greetings. Similar to the impact of a vanity line, using these features makes your brand stand out and demonstrates to callers the uniqueness of your company. Instead of doing what’s expected, add a touch of fun by having fun music playing while customers are on hold. By providing an option for a menu, it saves customers’ time because they can quickly reach the department they need. Because some people are uncomfortable leaving voicemails, make sure your voicemail and greeting messages are especially welcoming to encourage customers to leave a message. Whether you’re using virtual phone numbers for basic call purposes, receiving faxes, or tracking information for your marketing efforts, the SMS and customizable features of virtual phone numbers will always be beneficial to your business. Because so many industries are competitive, entrepreneurs must find a way to stand apart from the competition. The best way to do this is by being creative and providing outstanding customer service. 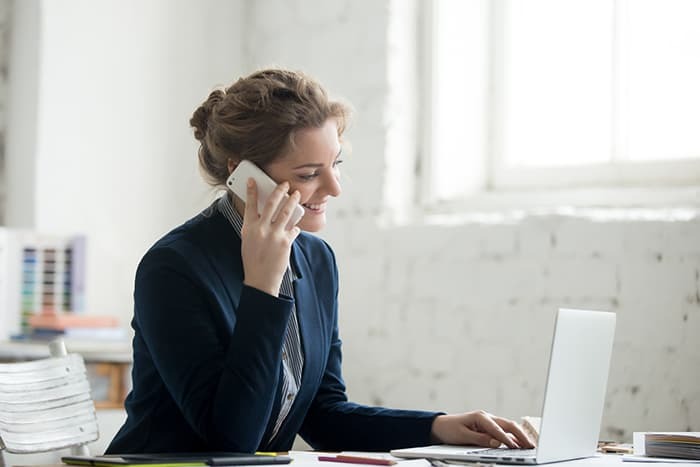 Using virtual phone numbers makes business owners more productive because they help entrepreneurs multitask without confining themselves to an office space to take phone calls or handle business-related tasks. With Freezvon’s virtual fax numbers, there’s no need to purchase an additional fax machine because faxes will immediately be converted into PDF files to quickly transfer information. Virtual phone numbers are an essential tool for productivity and cost savings. There’s no need to invest in a physical office space or any additional equipment to begin using Freezvon’s virtual phone numbers and its incredible features. While customers save money because there are no out of range phone calls, business owners also save money because they don’t have to buy additional equipment or relocate. Using Freezvon for your company’s telecommunication needs will give your business the same air of professionalism as a company working in a traditional building. Entrepreneurs can use virtual numbers to expand their business and attract loyal customers because they can work with more flexibility to make and receive calls on their cellular devices or landline of choice.